OBJECTIVES: Chiropractic care may have value in improving patient outcomes and decreasing opioid use, but little is known about the impetus for or process of incorporating these services into conventional medical settings. The purpose of this qualitative study was to describe organizational structures, care processes, and perceived value of chiropractic integration within U.S. private sector medical facilities. DESIGN: Multisite, comparative organizational case study. SETTINGS: Nine U.S. private sector medical facilities with on-site chiropractic care, including five hospitals and four clinics. PARTICIPANTS: One hundred and thirty-five key facility stakeholders including doctors of chiropractic (DCs), non-DC clinicians, support staff, administrators, and patients. METHODS: Researchers conducted 2-day site visits to all settings. Qualitative data were collected from audio-recorded, semi-structured, role-specified, individual interviews; standardized organizational data tables; and archival document review. A three-member, interdisciplinary team conducted thematic content analysis of verbatim transcripts using an existing conceptual framework and emergent codes. RESULTS: These nine medical facilities had unique organizational structures and reasons for initiating chiropractic care in their settings. Across sites, DCs were sought to take an evidence-based approach to patient care, work collaboratively within a multidisciplinary team, engage in interprofessional case management, and adopt organizational mission and values. Chiropractic clinics were implemented within existing human resources, physical plant, information technology, and administrative support systems, and often expanded over time to address patient demand. DCs usually were co-located with medical providers and integrated into the collaborative management of patients with musculoskeletal and co-morbid conditions. Delivery of chiropractic services was perceived to have high value among patients, medical providers, and administration. Patient clinical outcomes, patient satisfaction, provider productivity, and cost offset were identified as markers of clinic success. CONCLUSION: A diverse group of U.S. private sector medical facilities have implemented chiropractic clinics, and a wide variety of facility stakeholders report high satisfaction with the care provided. Over the past two decades, the large U.S. public healthcare delivery systems of the Department of Defense and Department of Veterans Affairs have increased delivery of chiropractic services. [10–12] Previous work has demonstrated positive patient and provider perceptions, beneficial outcomes, and expanded use of services in these systems. 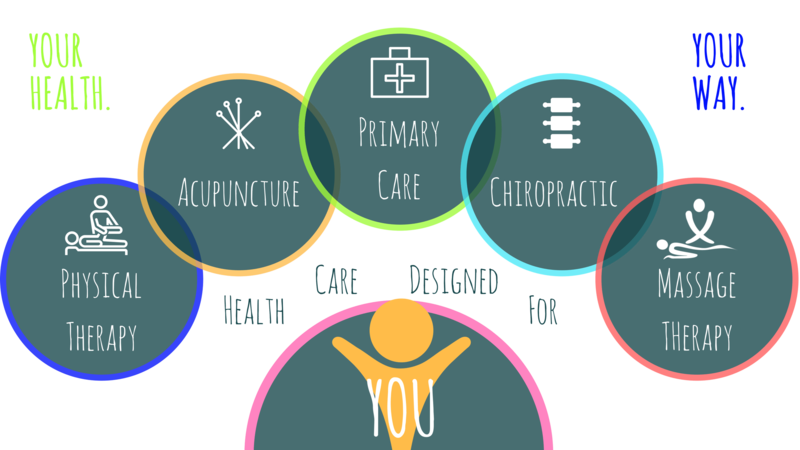 [13–17] Chiropractic services are also included in U.S. private medical settings ranging from large healthcare systems to smaller care delivery sites. [18–20] However, there is no central coordination or assessment of these programs. Consequently, data are lacking on the optimal means of chiropractic service implementation in private medical facilities. Improving the quality of chiropractic service delivery in private medical facilities supports the Triple Aim of optimizing the U.S. healthcare system in terms of patient experience, population health, and cost reduction. Previous studies on chiropractic care report high patient satisfaction [22–24]; improved health outcomes in patients with musculoskeletal pain [1–3]; and cost reduction in conservative management of spinal pain conditions. [25, 26] A better understanding of the existing models of chiropractic integration into private sector medical settings is a key precursor to overall quality improvement. Since healthcare systems are highly complex entities, and the inclusion of chiropractic services is subject to much variation, the objective of this study was to describe the delivery of chiropractic services in private sector healthcare facilities using a qualitative case study approach.